It's hard to imagine Ariana Grande without her signature ponytail. And even though she has made slight tweaks in her looks over the years, the overall ponytail effect remains the same, until now. For many years, the singer's fans have brought up the fact that Ariana was reluctant to make a hairstyle change. Some wondered why she would choose to wear the same look every single time. In January 2014, Ariana had had enough of all the critiques and harsh comments, so she went on social media to clear the air. My actual hair is so broken that it looks absolutely ratchet and absurd when I let it down … As annoying as it is for y’all to look at the same hairstyle all the time, it’s all that works for now (and I’m comfortable for the first time in years). Clearly, after many years of maintaining that look, her hair is in a much better state to take a few risks. And this was exactly what she did when she was featured on British Vogue. 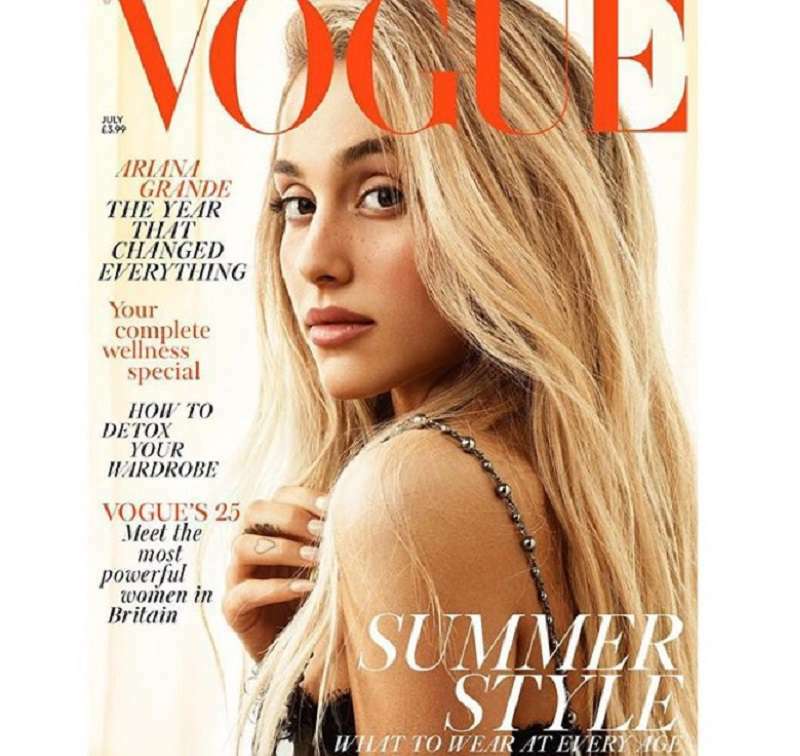 Ariana debuted a hot new blonde look, plus a few face freckles for the magazine. It's was such a dramatic transformation that she barely looked like the Ariana we know. Check her out below. READ ALSO: Kim Kardashian Claps Back At Lindsay Lohan For Calling Her New Hairstyle "Confusing"
Ariana's fans have taken to social media to express their love and appreciation for her new look. We completely agree. Making a big, drastic change like this can be scary, but this gorgeous young singer has proven to us that it is not always a bad idea to take a risk.